Last week I headed to a rainy field on the outskirts of Glasgow to dance in a field along with thousands to a band I've admired from afar for years, who you might ask well Kings of Leon of course! My inner fifteen year old self was unbelievably excited to finally see KoL live, Only by the Night is one of my top five favourite albums ever, I love their older material and I'm so happy that their newest releases have once again got that similar kind of sound. I had planned to get a few OOTD pictures but sadly the drizzly weather wasn't ideal for picture taking... I did manage to take a cheeky wee FOTD before I left the flat, I even had another chance to wear myflower crown, I can't wait to get another one! My Mum always calls me Helga when I wear it though... and says I look German/Latvian, what a meanie! The absolute legends that are Kings of Leon! 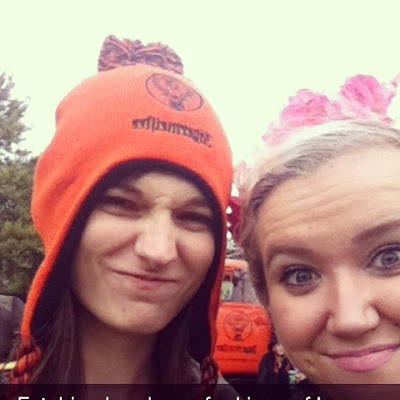 because of my crown but the hat deserved a cheeky snapchat! This week I'm busy getting things ready for my 21st and looking forward to meeting up with some lovely fellow Scottish bloggers tomorrow to head to a show at the Edinburgh Fringe. Anyways I hope you're all having a lovely week, have you got to see one of your favourite bands live before? Did they live up to your expectations? 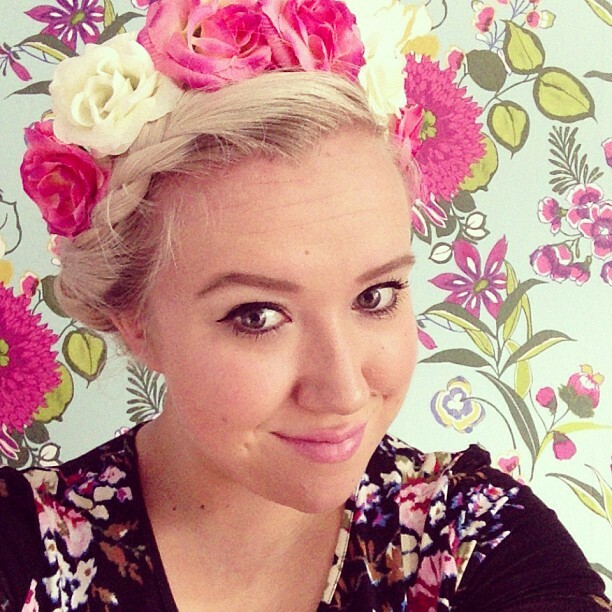 I love floral headwear, I just need the right event to go to one! Jealous about Kings of Leon, would love to see them live!